Made of a strong protective peva material - wipe clean surface. 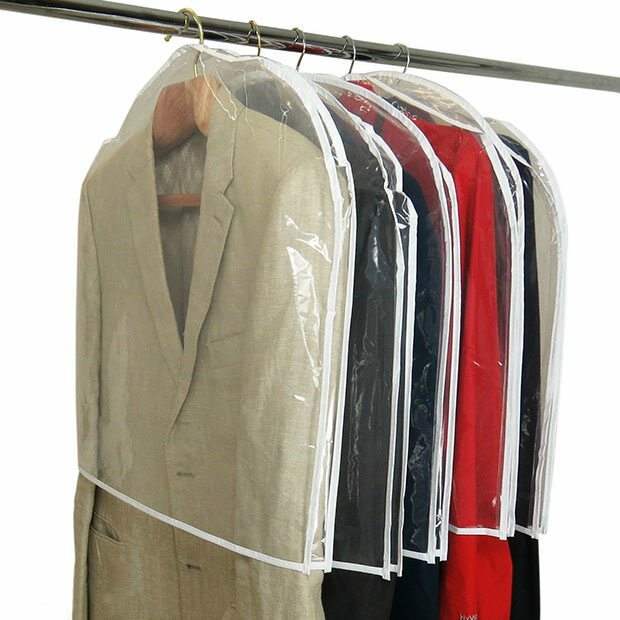 Protects garments from dust while storing. Side gussets & longer length make these protectors ideal for coats, suits, jackets, uniforms, dresses. Size: 61cm (24") wide x 55cm (21.5") long x 2.2cm (1") gusset approx. Strong quality covers and competitively priced - look no further.